THE UNEMPLOYED EATER: LA Needs More Neighborhood Bakeries Like The New Cake Monkey. Support It. 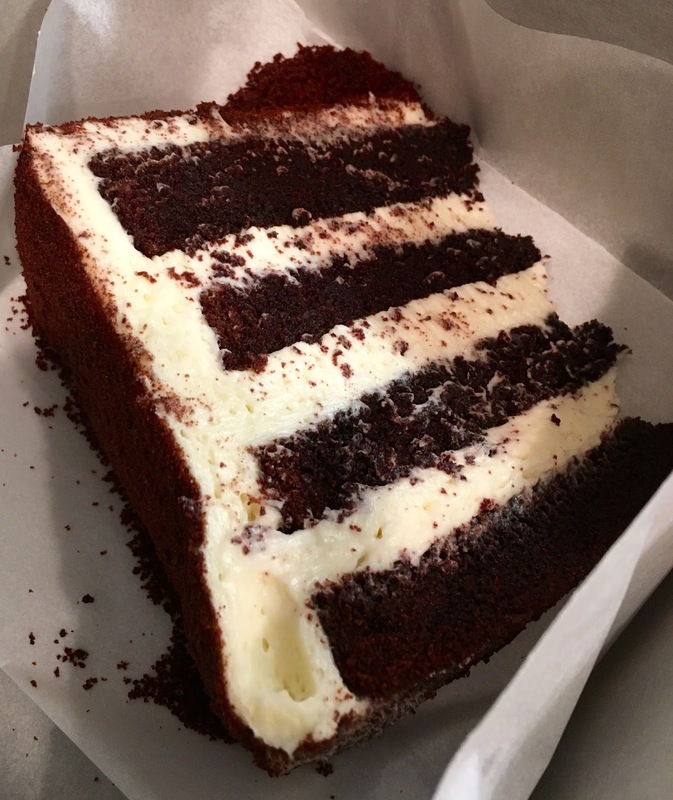 LA Needs More Neighborhood Bakeries Like The New Cake Monkey. Support It. You might not even know it, but you almost certainly have consumed a Cake Monkey pastry. They supply a bevy of local coffeeshops and restaurants. You know, the foil-wrapped gourmet, decadent Ding-Dongs or Ho-Ho-esque sweets? 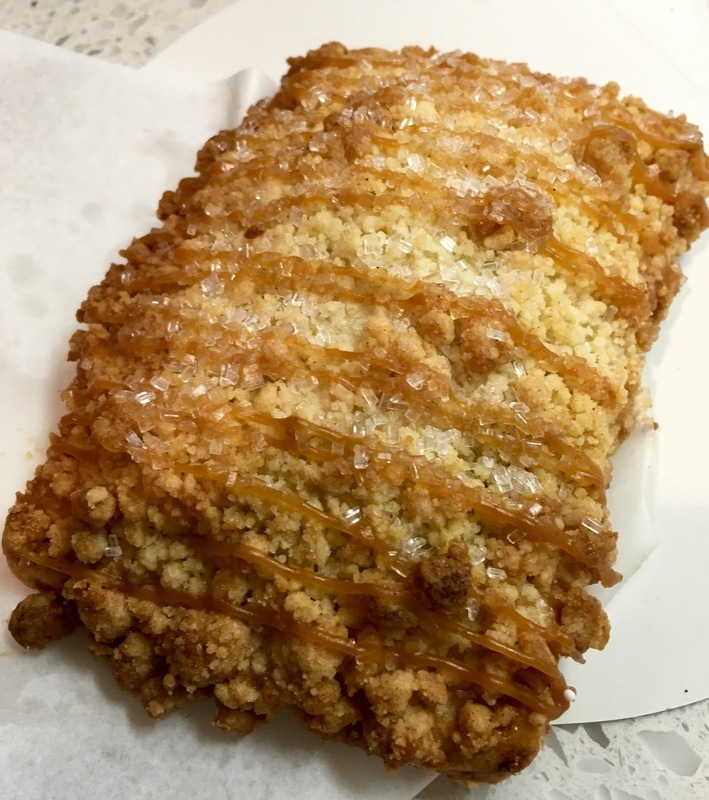 They also bake some of the city's most widely-acclaimed pies, cakes and muffins and pretty much everything else sweet tooth-adjacent. Despite the rather ubiquity, oddly, until yesterday, they never had a brick and mortar. And we should all be elated about it. While LA is chock full of quality bakeries, I would say very few can be described as a "Neighborhood Bakery." What exactly do I mean by that? Not exactly sure. However, my favorite bakery growing up -- and still to this day -- is Los Gatos' Icing on the Cake. IOTC is a neighborhood bakery. Nothing fancy or super technical about their product, just a very high quality, frosting-filled endless potpourri of sugar-laden goodness. It's the bakery that everyone gets their birthday/anniversary/wedding/Super Bowl/Tuesday afternoon cake at. The sort of bakery if it were to suddenly vanish, the whole town would rally together with parkas and flashlights until they found it. LA doesn't have a ton of those spots. Cupcake-only shops don't qualify. If you were to ask me LA's "best bakery?" I'd probably say either SusieCakes or Huckleberry. SusieCakes is a budding chain now though, so not exactly a local vibe. Huckleberry's desserts on the other hand, while stellar, lean rustic and European almost. While tasty as all heck, I don't really consider it a true local, American bakery. You may pick up a chocolate Kouign Amann, but you don't get your co-worker's going away cake there. There's also Sweet Lady Jane with their very friendly late hours, yet there's a highfalutin air to SLJ that almost screams, "Don't call us a neighborhood bakery please." That's where Cake Monkey comes in. 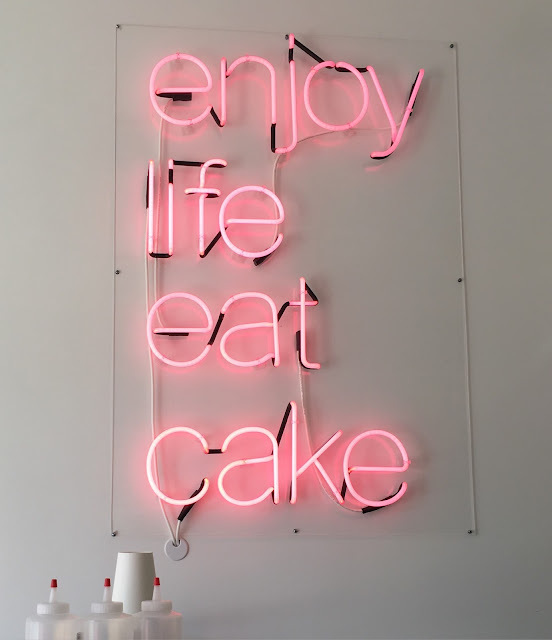 A local company offering pretty much everything under the sweet sun, from reinvented classics like their Pop Tart-like "Pop Cakes" to post-modernities, like their individual-sized three-tiered layer cakes. The sort of bakery that the next time you're at a buddy's Friendsgiving soiree and you see the pies rolled out, you know immediately where they're from. So what am I saying? 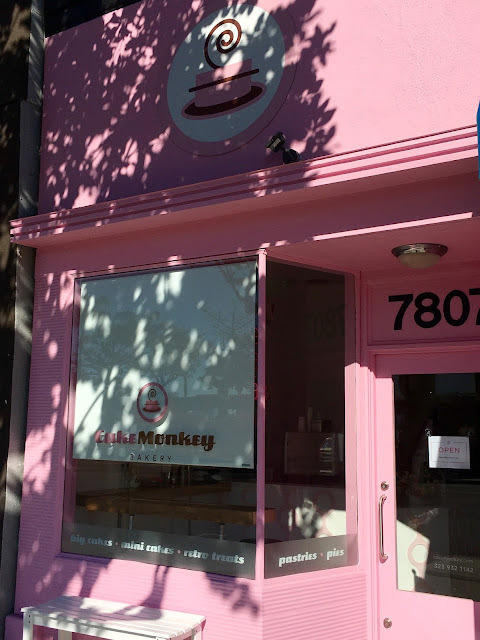 Basically: Cake Monkey now has a brick and mortar on Beverly and it's up to us Los Angelenos to make it the smashing neighborhood bakery success it deserves to be. As you see in the pictures below, I did my part by being their first customer EVER when they soft opened yesterday. I didn't do that for me. I did that for all of us. You're welcome, bros. Now you do the same. Cake Monkey at 7807 Beverly Blvd. (across from CBS, near The Grove) is soft open through tomorrow (8 am-6 pm) and then Wednesday commences normal hours of 7 am-8 am.